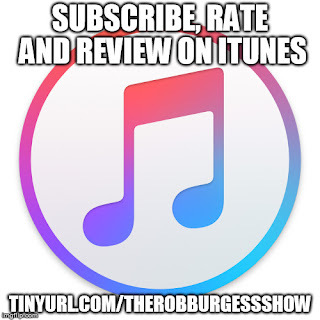 Hello and welcome to The Rob Burgess Show. I am, of course, your host, Rob Burgess. On this, our 127th episode, our returning guest is Jonathan Fowler. 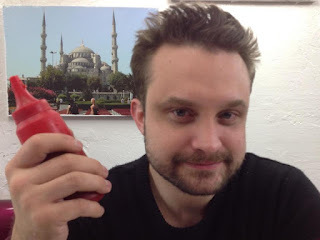 You first heard Jonathan Fowler on Episode 2, Episode 10, Episode 20, Episode 21, Episode 29, Episode 30, Episode 31, Episode 32, Episode 34, Episode 35, Episode 43, Episode 48, Episode 51, Episode 56, Episode 64, Episode 74, Episode 83, Episode 92, Episode 102, Episode 103, Episode 104, Episode 105, Episode 106, Episode 107, Episode 108, Episode 109, Episode 111, Episode 114, Episode 115, Episode 116, Episode 119, Episode 126, and Episode 82, also featuring fellow regular guest Ash Burgess of the podcast. Jonathan graduated with a BA in history from Indiana University in 2006. He is an unabashed left-wing political junkie. He has lived and worked in South Korea for over 10 years, trying to help the citizens of that great nation, hopefully, "talk pretty one day."